CHIK'N, chef Carl Clarke's chicken restaurant, is opening in Soho this May, and to warm people up he's hosting a pop-up at The Sun & 13 Cantons in Great Pulteney Street, for one night only, on Monday 15th April. No booking allowed, so go early for the chance to try the excellent chicken sandwiches for just £5 each, with profits going to the Centrepoint charity. It's open from 6pm to 10pm only - go! "Fried chicken guru Carl Clarke leads a CHIK’N One Night Only at The Sun & 13 Cantons in Soho one month ahead of opening his second site just down the road in Wardour Street. 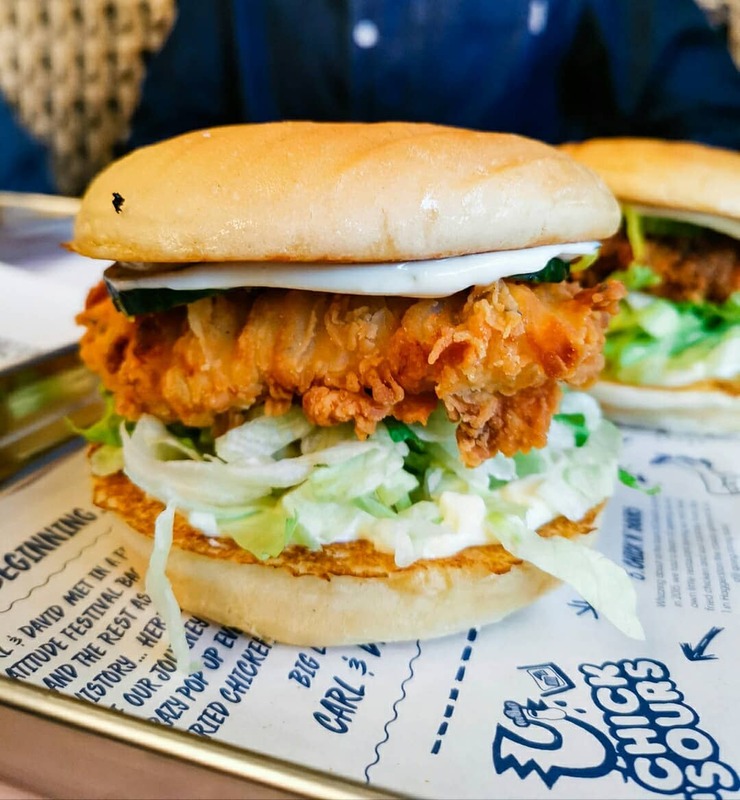 Expect new menu items including the CHIK’N CHOP, new version Straight Up (“best f-ing fried chicken sandwich in the world” – Carl Clarke, 2019), BBQ Delux, all cooked in state-of-the-art pressure fryers new in from the USA. Carl and his team will be serving up trays of CHIK’N Chops, Hot Wings, Green Slaw – all you have to do is choose a sandwich – all for just a fiver per person. All profits from the event will go to Centrepoint, to help young homeless people find a home."